This quote reminded me of a conversation I had with an artist one day when I was just beginning to flex my artistic muscles. I asked how did he get to the level of just drawing what he saw? He answered by asking if I was good at anything. I told him that I was the lead trumpet in a couple of bands. He asked how did I get to become lead. I said I practiced about 1 – 2 hours a day. He said that is exactly how he got to the level of drawing what he saw. Practice, Practice, Practice, and he was right. At the time I was and still am working hard to keep healthy and stay in shape. At the time of the breakup I found that working out helped me to focus my mind on things other than the breakup. It also had the extra bonus of lowering my blood pressure and I had lost a lot of weight. This chapter is all about me retraining my mind and body and in the process I discovered what kind of person I am. 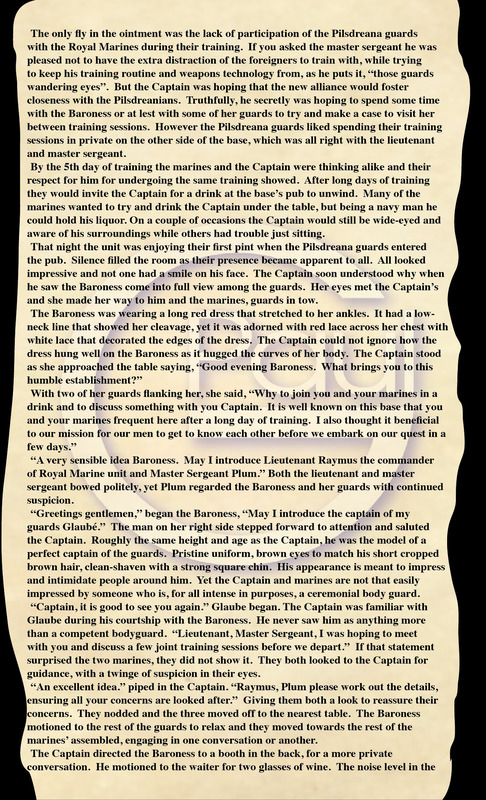 In this chapter the Captain embarks on training with the Royal Marines for their part of the liberation of Pilsdreana from the tyrant Baron MacVine. 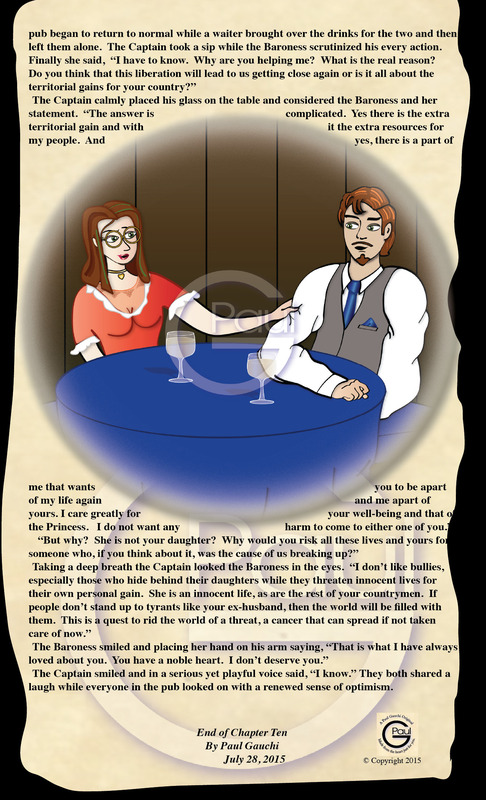 In the process he is reacquainted with the Baroness and reveals something to her that makes her realize what kind of person the Captain truly is. 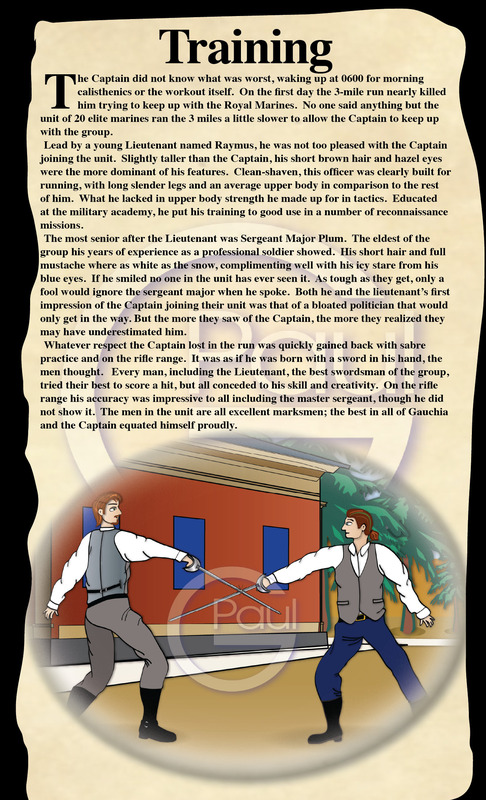 I hope you enjoy the latest chapter of The Captain and The Baroness: Training.